The company is reportedly not working on any DTH services and has rubbished the speculations. Entering the telecom sector, Reliance Jio forced other network providers to reassess and refine the options they offered to the subscribers. Mukesh Ambani led telecom network is also expected to do the same with the commerciall roll out of its Fibre to the Home (FTTH) broadband services pan India along with its DTH services, however, as per reports, the company will not be launching their DTH services and has rejected the claims and speculations of the Hybrid DTH service. Rumours of Jio rolling out a DTH service have been making rounds of the internet from some time now. 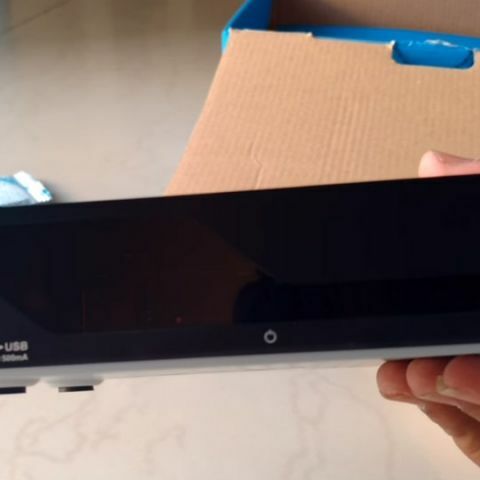 Alleged images of Jio’s DTH Set top Box were also leaked online and revealed that it would offer over 360 channels and at least 50 of them will be viewable in HD. It was seen featuring an ethernet port along with HDMI, USB and AV, which tipped at a Hybrid DTH service. An unboxing video of the device on YouTube reiterated the same. A Hybrid (STB), unlike the conventional STB, offers cable programming and streaming content as well. Netflix or Amazon Prime Video users can view their content via the STB itself, which eliminates the need for purchasing streaming devices like Amazon Fire Stick or Chromecast. It was also rumoured that the Hybrid STB by Jio will offer a seven-day catch up option, allowing users to view week-old content. But the media was said to be stored on Jio’s servers, which will be streamed as per the user’s need and as this requires fast broadband speeds, this is where Jio’s FTTH services come into play. It remains unclear whether the company will launch a DTH service as it has not confirmed it yet. We have reached out to Jio for comments and will update the story as soon as we hear back from them.